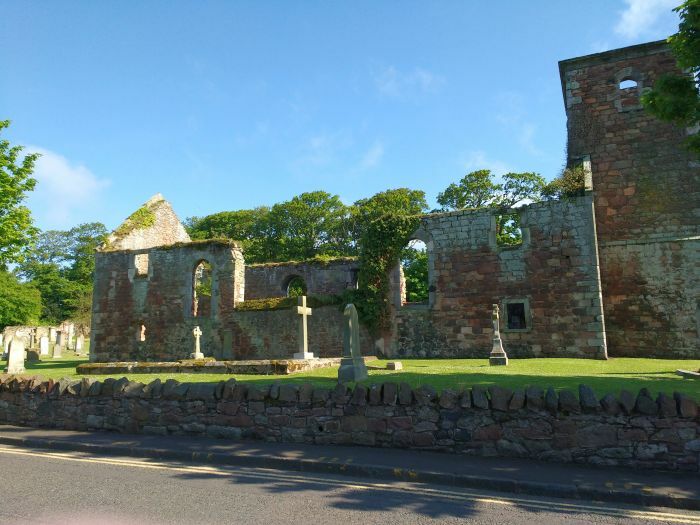 I was looking for a nice quiet area to cycle around when friends suggested East Lothian. This is the area to the east of Edinburgh and a popular area. I arranged to meet friends in Dunbar and travelled from Motherwell on the Cross Country train. The journey was only 1 hour and 15 minutes. 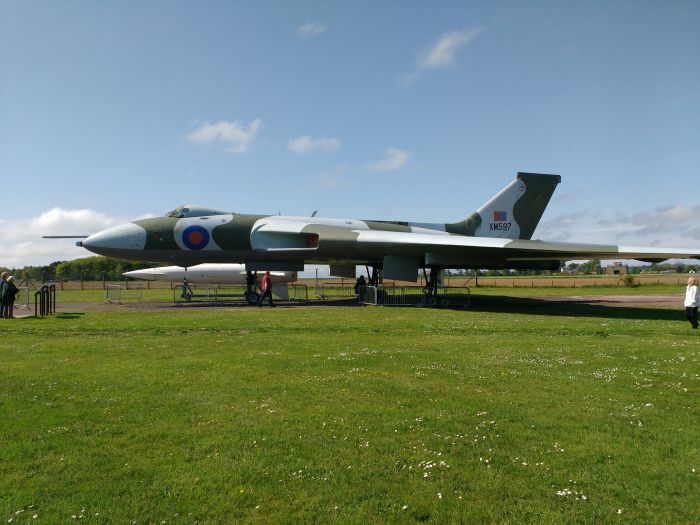 Arriving at Dunbar, I met up with some friends and we started cycling towards the Museum of Flight at East Fortune. 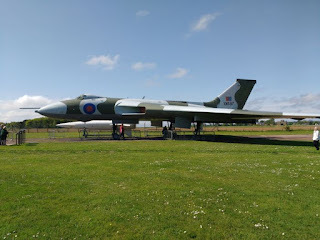 We cycled along the cycle route 76 to East Linton and then continued along the A199 road until we turned right onto the B1347. This road was quite hilly, but we soon had arrived at the National Museum of Flight. The adult admission was 12 GBP, but as we had arrived by bicycle, it only cost 10.00 GBP. East Fortune is a disused airbase which was established as a fighter and airship airfield in 1915. During the Second World it was used as a flying training establishment. In 1942 it became a station for a group of de Havilland Mosquito aircraft. 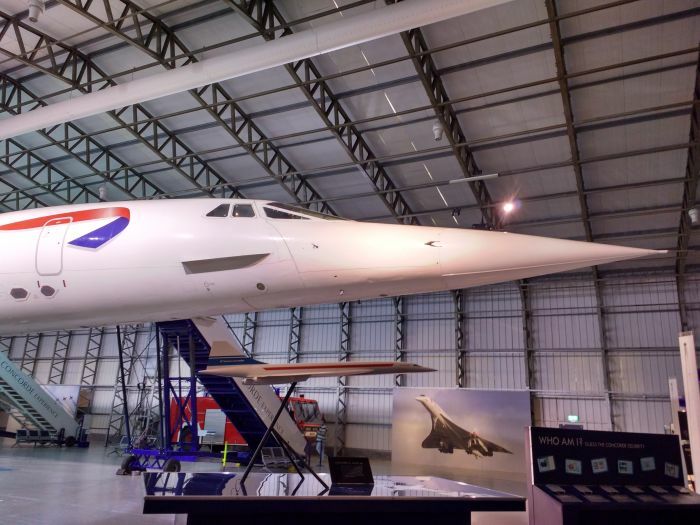 One of the Concorde supersonic passenger jets is on display in the museum and visitors can enter the plane to view the interior. Concorde was withdrawn from service in 2003 and a few of the planes are on display in various countries around the world. The interior of the plane is quite small and the windows were tiny. 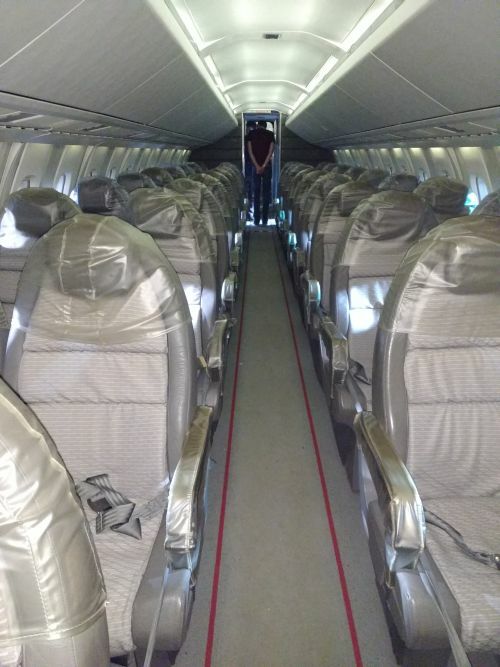 This was to avoid disaster if a window broke during a flight. There were a number of hangars with different displays including civilian and military aircraft. The above fighter jet was similar to the ones used during the Falklands War in 1982. Many of the exhibits are displayed in the buildings on the airbase.It takes a few hours to go round them all, but is very interesting. After viewing all the displays, we had a light snack in the small cafe before heading for North Berwick. The 4 hours we spent at the museum was very enjoyable and worth visiting again. The road to North Berwick is very pleasant, as it passes through some beautiful countryside. There were some sharp climbs, but nothing too difficult. In the distance could be seen North Berwick Law, a volcanic plug of hard rock. 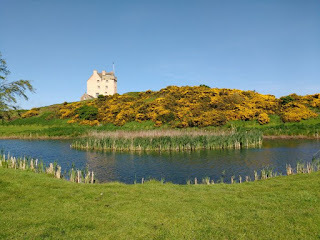 At Kingston, just outside North Berwick, was Fenton Tower. 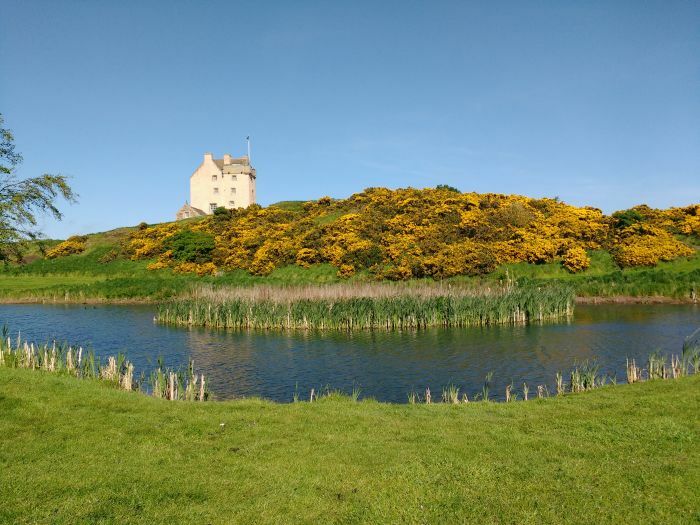 This is a fortified 16th-century tower and has had many distinguished visitors, among them being King James VI of Scotland (son of Mary Queen of Scots and Lord Darnley) who was surrounded by a rebel army in Fife and took refuge at Fenton Tower. It is currently used as an hotel. 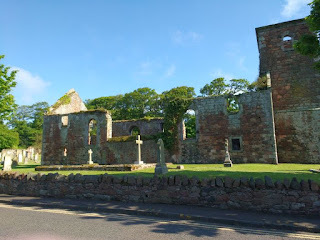 Arriving in North Berwick, we saw the remains of the second St Andrew's Church. This was built in 1664 and was the only church in the town until 1843. 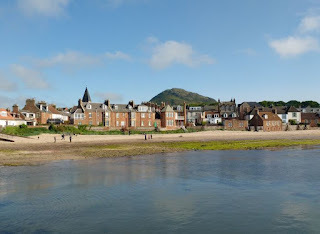 North Berwick has a lovely beach but as there was a chilly breeze, there was nobody sunbathing on it! 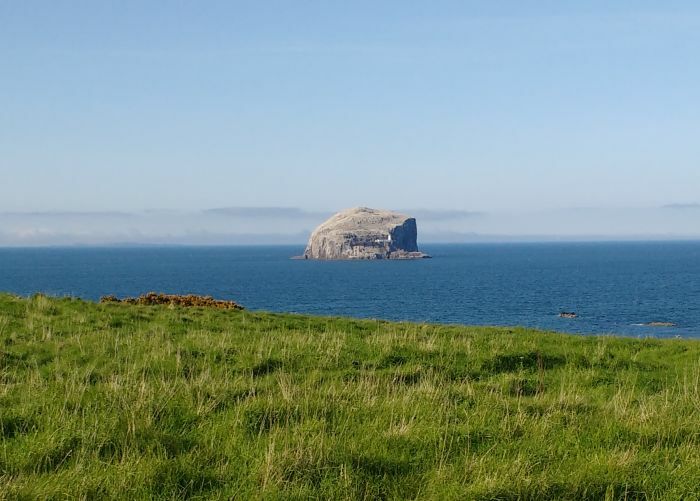 The Seabird Centre organises boat trips to the Bass Rock and Isle of May. We stayed in North Berwick for an hour and a half before heading back to Dunbar. We took the coastal A198 road and got some magnificent views of the Firth of Forth. The view of the Bass Rock was excellent at this point. Further along the road we saw the ruins of Tantallon Castle. 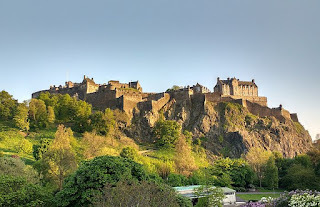 This was a 14th century castle and was the last curtain-wall castle to be built in Scotland. It is managed by Historic Environment Scotland and on our next visit to the area we intend to visit it. The rest of the ride to Dunbar was relatively uneventful. My train to Edinburgh was departing at 19.45 and we made it to Dunbar in plenty of time to catch it. Although the journey to Dunbar was direct, the return one involved an hour and 10 minute wait at Waverley Station in Edinburgh. As the sun was still shining, I took the opportunity of photographing the castle. 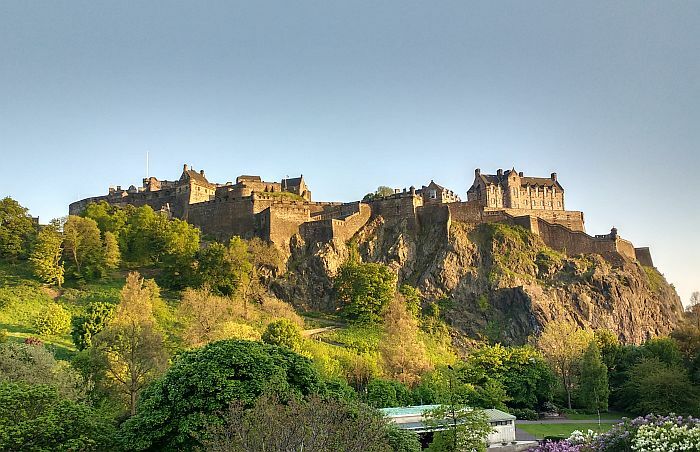 Evening is the best time for this, as the sun shines directly on the castle and gives it a warm 'glow'. 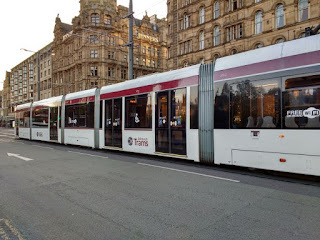 I also walked about Princes Street and saw the trams. These were brought into service a few years ago, but are state-of-the art. 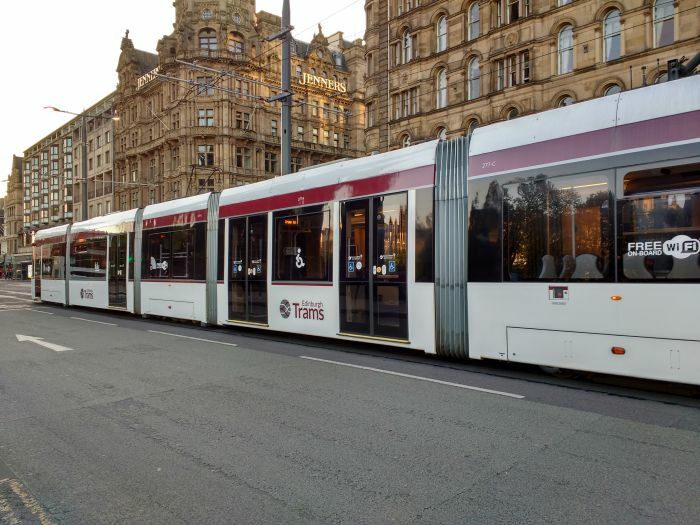 I then made my way back to the station and caught my train back to Motherwell. 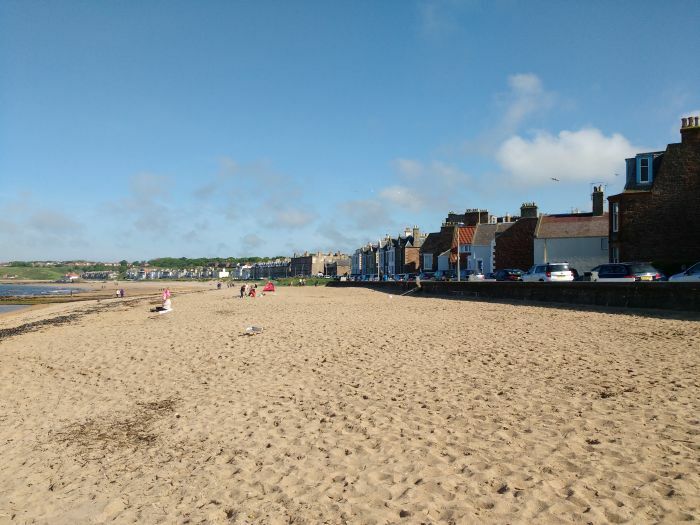 It had been a great day in East Lothian and the weather was great.